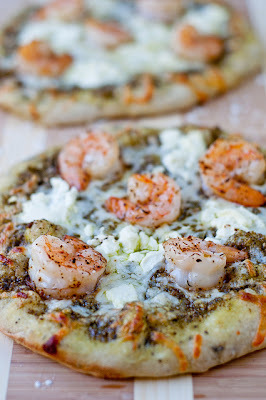 Place 5 shrimp on each pizza, sprinkle with the mozzarella and goat cheese. Bake for 20 minutes, until the cheese starts to brown on the edges. Let cool for just a minute or so and serve.